Inspirational Stories for You and Me: The Improvement of Technology! Every year during month of Syawal, I would make a special trip to Tabung Haji Malaysia to bank in Tariq's duit raya which he received during his Raya visits to relatives and friend's houses. 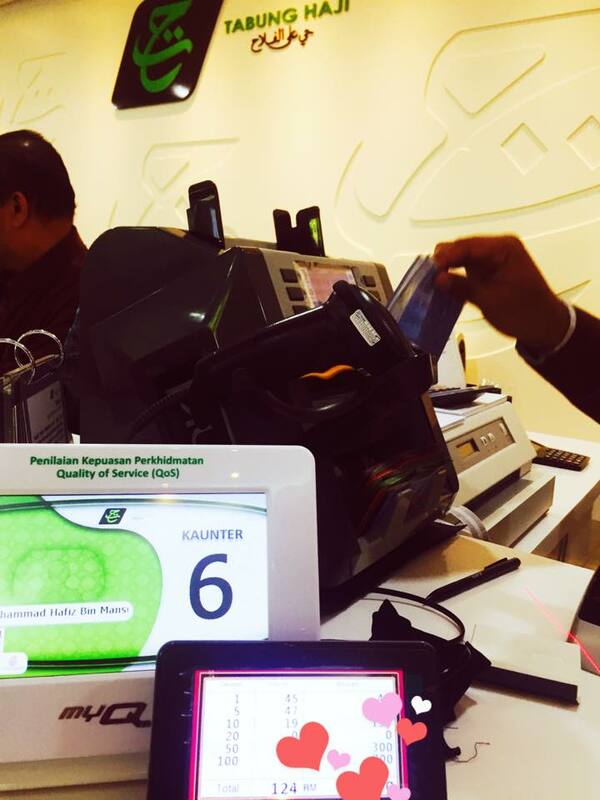 And every year, I will always find some kind of changes and improvements to Tabung Haji's services, mashaAllah. This year, at every TH Counter there is a note counter machine. But it is not just ordinary machine that calculates just one denomination which we always see in banks. This machines calculates all denominations at one go and gives us the total amount too! We just need to give the mix stacks of RM to the officer and he will use the machine to sort all the different denominations of the ringgit. The best part is that we can actually see how many pieces of RM1, RM5, RM10, RM20, RM50 and RM100 on the screen that TH puts facing us. Super awesome, so telus and customer oriented! * Tabung Haji is the Malaysian Hajj pilgrims fund board. It operates as an alternative institutional body providing investment opportunities for Muslim depositors to save and invest according to Islamic principles while managing pilgrimage activities for the Malaysian Muslim community.